Craftsmanship HonorDesigner, builder or artist in creating original and outstanding vehicles. Also, exhibiting these vehicles for a consistent period of time. Lifetime Contributor HonorA community leader and/or activist dedicating time, resources and heart in contributing and/or investing directly back into the lowrider community. This category may include car show promoters, who produce lowrider events that promote, educate and entertain the lowrider community. Leadership HonorRecognizing a car club founder/leader who has directly affected the course, actions, contributions and positive influence of a recognized and organized group and/or car club. 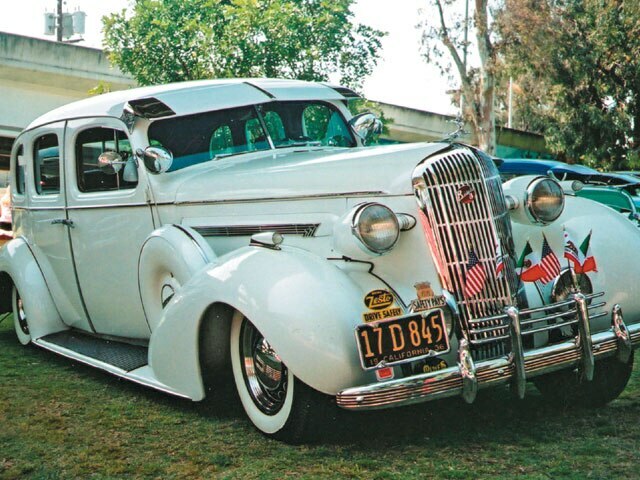 In its third year, Lowrider Magazine’s Lowrider Hall of Fame will present this year’s awards at a special ceremony at the Doubletree Hotel in Anaheim, California, on October 20. 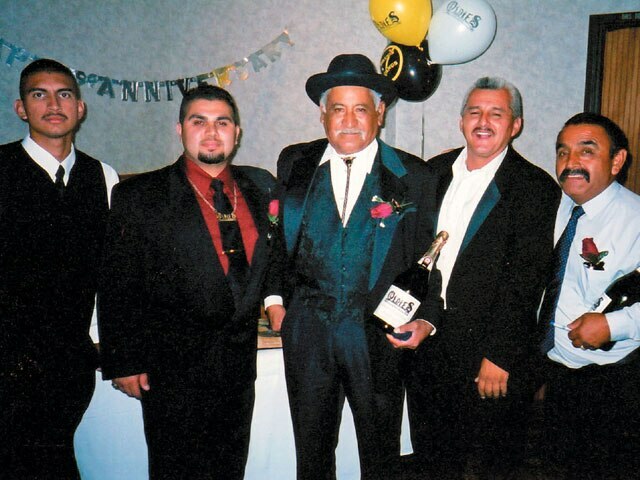 Come and be a part of a historical night of dinner and dancing, as the lowrider community honors these three living legends, as well as the memory of Joey Abeyta of Groupe Car Club, who will be honored with a special “memorial” award. Rocardo AlvaradoOldies Car ClubSan Fernando, CaliforniaBorn in Tijuana, Mexico, it was only a matter of time before Ricardo Alvarado made his way up to Los Angeles, California, and then on to the San Fernando Valley where he was first exposed to the lowrider culture at an early age. By the time that he was 14, Ricardo was driving without a license and getting the full taste of the culture. After working during the summer, he was able to buy his first car, a four-door ’54 Chevy Bel Air. That was just the beginning. From that point on, Ricardo’s always had three or four lowriders or bombs at a time. Ricardo can take credit for several important accomplishments within his club, Oldies C.C., from getting all of the chapters together to being the president of his chapter for several years now. 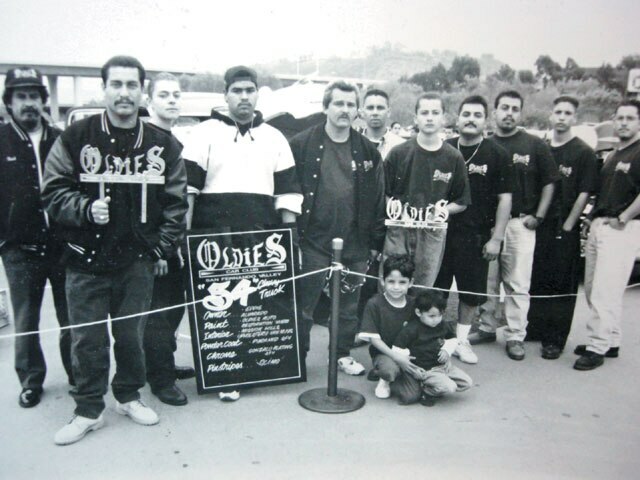 Some of the Oldies chapters that he helped expand include East Bay, Fresno, Bakersfield, San Fernando, Inland Empire and San Diego, as well as Albuquerque, New Mexico, and El Paso, Texas. Ricardo tells us that with more than 150 active members it’s hard to keep everyone happy. Some of the rules that he’s helped implement include an annual meeting where Oldies members can vote on club issues. This style of leadership has allowed Ricardo to be almost a “regular” member, the benefits of which include him being able to keep building cars. 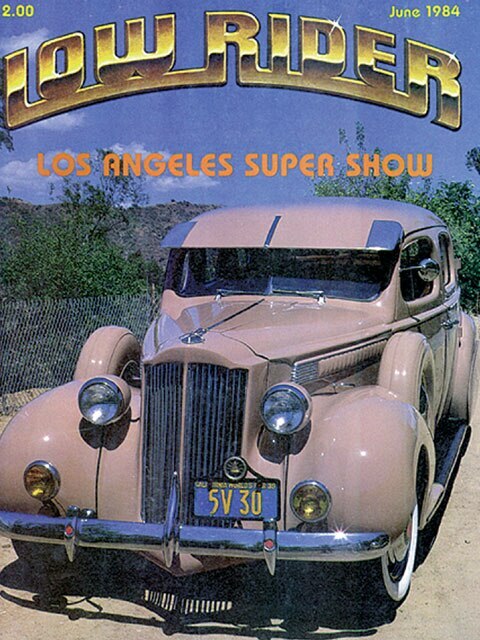 Ricardo was featured on the cover of Lowrider Magazine back in June ’84 with his “Leader Of The Pack,” a classic ’39 Packard. Since then, he’s been featured several times and that’s been in part due to his show car track record where he’s been a top dog. Ricardo’s turquoise ’54 Chevy convertible was the car to beat for about five years, and then his Buick filled that description for about six more years. His last creation was a Cadillac that took top show honors for about six years, and even after he sold it, it still places in the top three. With so many years and classic rides under his belt, Ricardo knows that it’s all about detail. This knowledge helps him get an advantage over the competition. He also knows that you need to give people a chance and prove themselves, and he’s used this same mentality with the Oldies chapters that have proven themselves worthy of the club that Ricardo helped found. When we visited Ricardo we got to see the original plaques and he told us how the club was founded more than 30 years ago. If you’re into the bomb scene in Southern California, you can always spot Ricardo buying and selling vintage parts at the Pomona Automotive Swapmeet. You can almost say that he’s the “godfather” of San Fernando and, most importantly, Oldies C.C. Ricardo’s heart and soul belong to the club that he has helped establish, and with the support of his family and friends, he’s been able to be around what he loves to do and that’s build cars. These days, Ricardo’s been juggling his priorities, redoing his classic bomb and finishing his house in Rosarito, Mexico, where he plans to be able to get away when he’s not working on his cars. 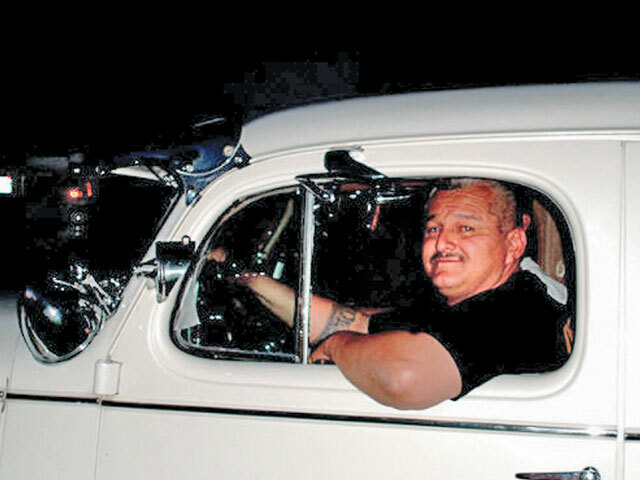 The 30-plus-year lowriding veteran is sure to fit into the prestigious ranks of his inducted Lowrider Hall of Fame peers. In all of the years that Ricardo has been lowriding, no one has ever heard him making big claims or patting himself on the back; he’s humble about his accomplishments just like the rest of the inductees. We wish Ricardo and his club the best. Jessy ValadezImperials Car ClubGarden Grove, CaliforniaSome of the greatest works of art haven’t always been famous. Take for instance, Vincent Van Gogh, the now-famed artist who only sold one painting in his lifetime, but a century later, is recognized as one of the great artists in history. 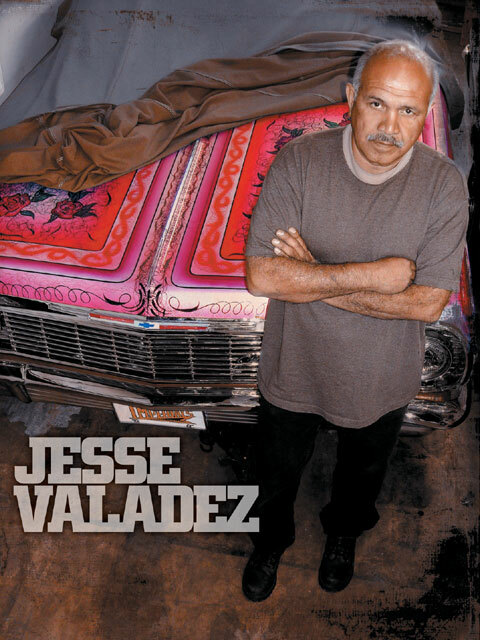 And just as Van Gogh became a well-respected pioneer of what we know as expressionism, our Lifetime Contributor Honor winner Jesse Valadez has that same influence and impact, except in the artistic discipline of lowriding. Jesse’s work has become internationally known, and his crowning achievements have pushed lowriding into a culture far beyond what anyone would have expected. And while it took decades to recognize Van Gogh’s talents, it only took a few years for Jesse Valdez to be recognized for his. 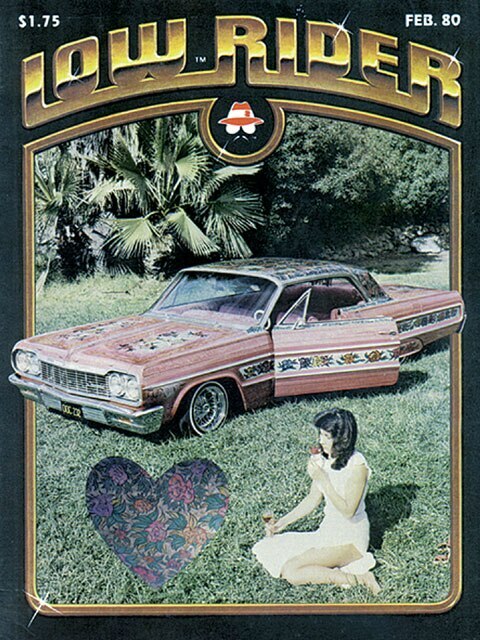 Gypsy Rose remains one of the lowrider world’s most respected vehicles, and Jesse remains a true diplomat of lowriding and a respected veterano who always lends a helping hand. 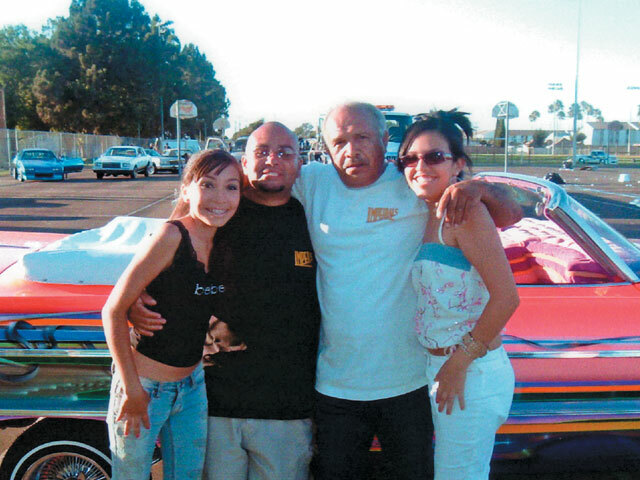 He’s also an upholsterer, businessman and community activist, but more importantly, he’s a lowrider who helped establish our culture as a force to reckon with. 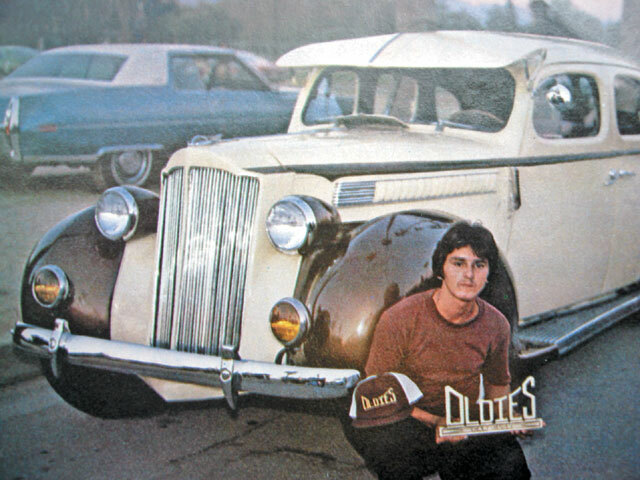 With that said, Lowrider Magazine is pleased to crown Mr. Valadez as the recipient of the 2007 Lifetime Contributor Honor. 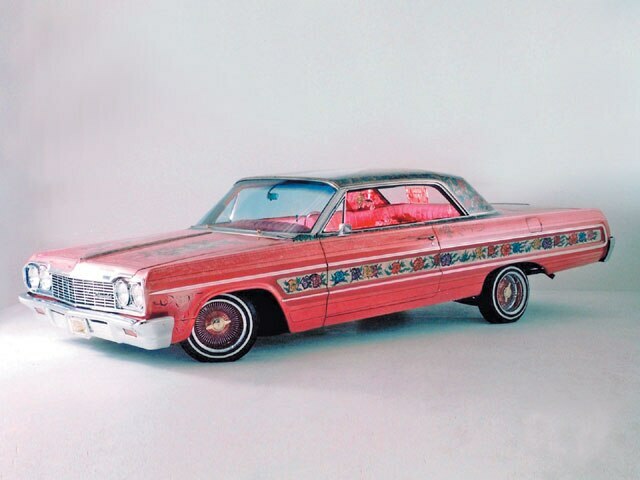 The award signifies more than just respect and recognition, but also entry into the lowriding chronicles that will forever embody him as one of the icons of our time. Lowriding is a unique form of vehicular expression and Jesse Valadez was there from the beginning. There’s a lot to learn from Jesse, but those in the know recognize him best for giving birth to Gypsy Rose. His vehicle is classic and his efforts well recognized, but things weren’t always that smooth in the beginning. Upon the release of Gypsy Rose, his paint scheme felt the opinion of harsh critics. At the time, the paint job was “way out” and some were skeptical about the car’s style and tone. Many called it too extreme, but little did any of them know that they’d all end up eating their words and paying respect to one of lowriding’s greatest creations. You see, the problem was that the car’s motif was too advanced for its time. It was a way-out idea with perfect execution, but no one realized its true beauty and the creativity behind the Impala until they had a chance to look at it up close. 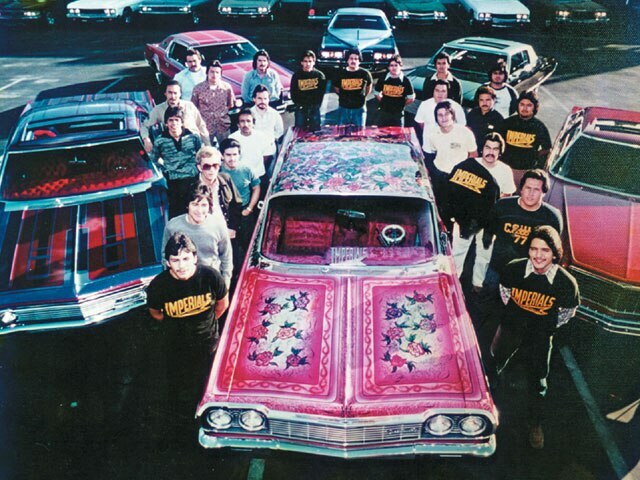 The detail, craftsmanship and vision were there, but the minds of fellow lowriders weren’t up to pace. 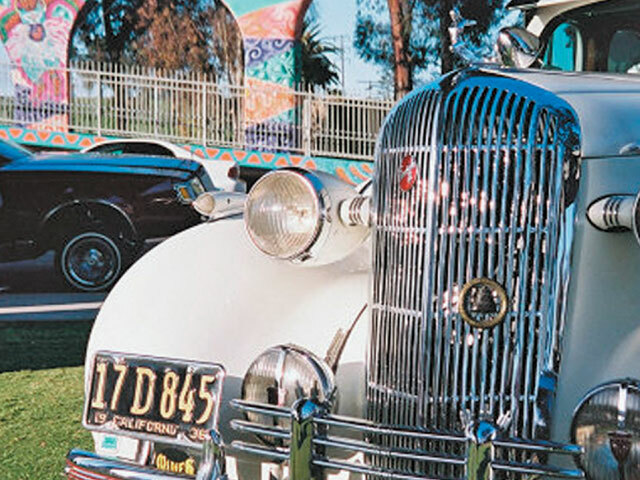 Jesse’s car was so monumental that the ’64 was on tour in Texas and invited to the first East L.A. Christmas Parade. 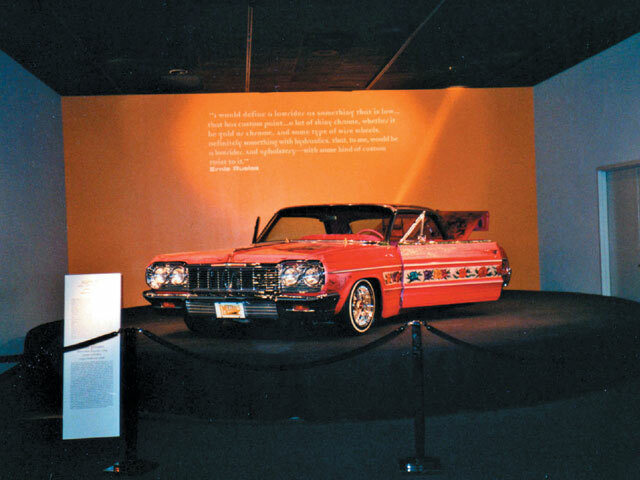 Maybe the all-time high was when the vehicle was on display at the world-renowned Petersen Automotive Museum in Los Angeles. Growth is often times associated with a learning curve and the paint job and vision that Jesse had envisioned was one of the curves that helped fellow riders grow in both creativity and their ability to judge cars. It was first painted by Walt and Dunn back in 1969, and it still hasn’t been retouched to this day. 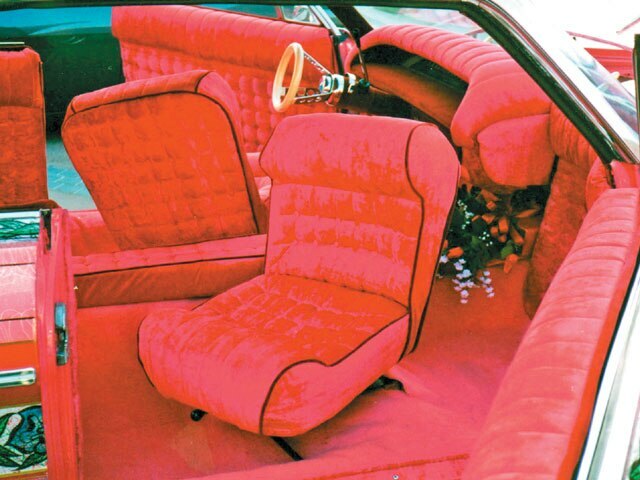 Gypsy Rose remains a classic that not only marks a special moment in history, but also a car that belongs to the Imperials, a club that Jesse was president of for 14 years. Lifetime Contributor HonorRecognizing a community leader and/or activist dedicating time, resources and heart in contributing and/or investing directly back into the lowrider community.